A THRILLING SIT DOWN WITH AUTHOR BOBBY NASH PART 2! 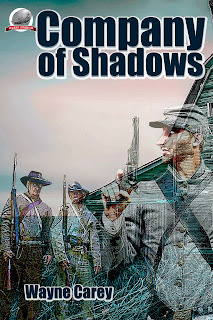 Author Adam C. Mitchell interviewed author Bobby Nash for his blog. This one was broken up into two parts. 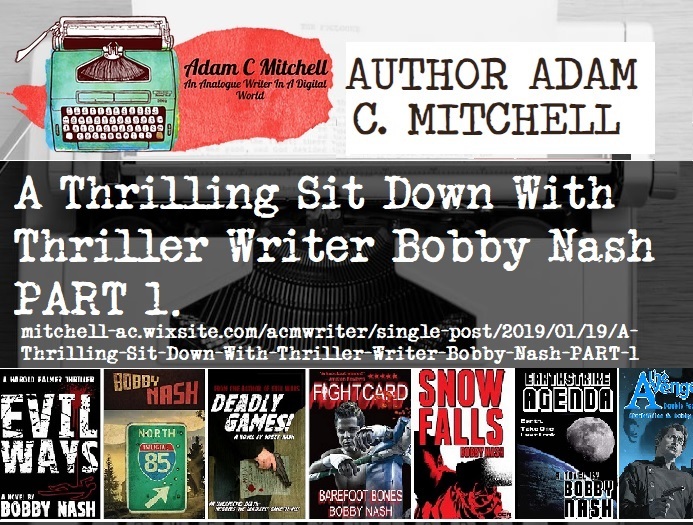 Part 2 of A Thrilling Sit Down With Thriller Writer Bobby Nash is now live. You can read it HERE. You can still read A Thrilling Sit Down With Thriller Writer Bobby Nash PART 1 HERE. Frustrated with his job as a high school science teacher, Frank Blaine enjoyed his rare weekends participating in Civil War battle re-enactments. It is passion he shares with his young son, Steve, and several neighbor pals. This particular year they near Ramsey, Virginia the site of the Pine Creek Battlefield where back in 1864 the Union Army fought fiercely to thwart a Confederate excursion northward. All is going as planned when, in the middle of one exercise, Frank encounters other soldiers not part of his company. Soldiers who suddenly materialize and then vanish in the blink of an eye…as if they weren’t really there. Without any clear rationalization for these encounters, Frank begins to suspect the impossible. He’s being confront by ghosts from the actual battle. And if so, why? Author Wayne Carey spins a suspenseful story about a hundred year old secret that can no longer remain hidden…even if the dead must at long last tell the tale. Artist Ed Catto provides nine wonderful interior illustrations and Laura Given offers up her haunting cover. All assembled by Airship 27 Art Director, Rob Davis. AIRSHIP 27 PRODCUTIONS – PULP FICTION FOR A NEW GENERATION! A THRILLING SIT DOWN WITH AUTHOR BOBBY NASH PART 1! Author Adam C. Mitchell interviewed The Pulp Factory's own author Bobby Nash for his blog. This one is broken up into two parts. You can read A Thrilling Sit Down With Thriller Writer Bobby Nash PART 1 HERE now. Look for Part 2 on Friday, January 25th!